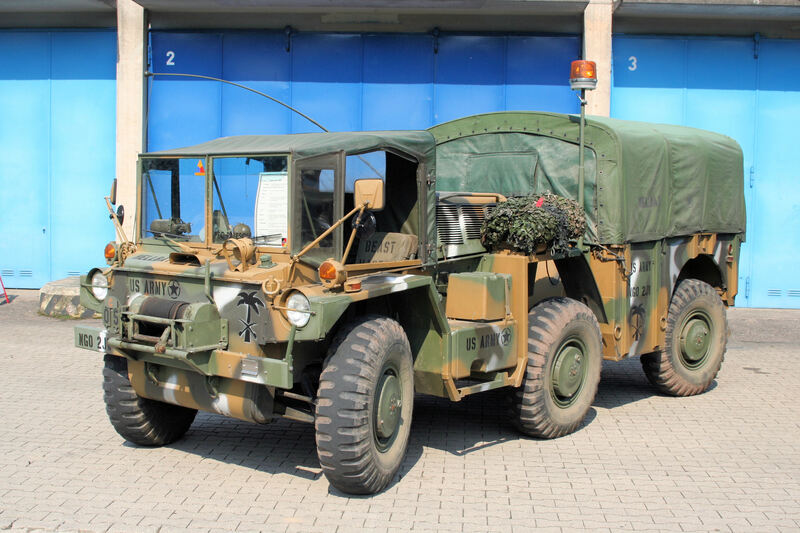 One of the interesting items that appeared for sale on eBay over the last week was a Vietnam War era ex US military M561 “Gama Goat” 6×6 semi amphibious vehicle. The Gama Goat is another one of those “goin’ huntin’? Gotta have it” sort of vehicles. 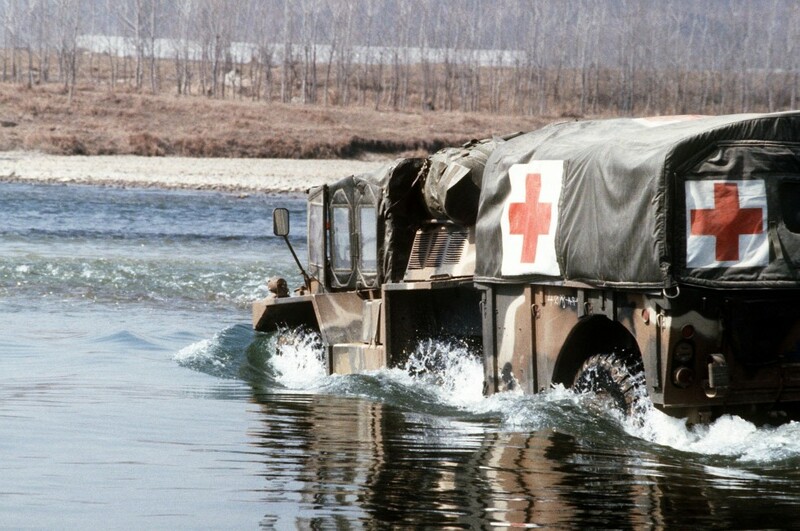 It was built to be a go almost anywhere vehicle, and that notion of “anywhere” needed to include swamp and wet muddy rice paddy fields, so this could well be the near perfect duck season vehicle if you can manage to get hold of one before a military collector beats you to it. To give you an idea of the sort of thing this vehicle will do even with a full load of people on board watch following video. The Gama Goat got its name from its creator, Roger Gamaunt, and from its “mountain goat” like climbing capabilities. 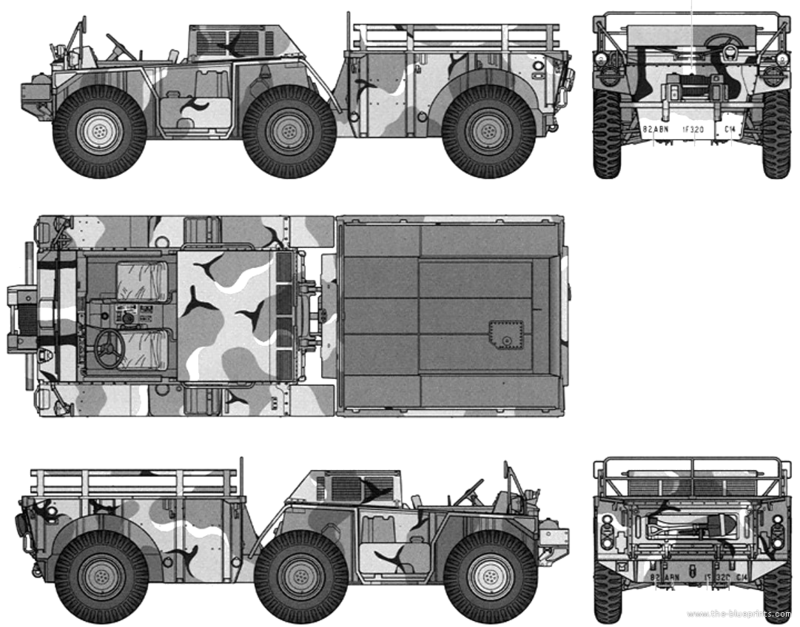 It was originally created specifically as a vehicle suitable for the expected US involvement in wars in South East Asia, even in areas awash with rice paddy fields. To really appreciate this it is good, at least once in your life, to try walking through a paddy field barefoot so you can fully appreciate the sticky slippery nature of them, then you’ll appreciate the Gama Goat all the more. As you will see in the following video the Gama Goat is perfectly at home in a wet mud bath and has a bilge pump to get rid of the muddy water once you’ve emerged. 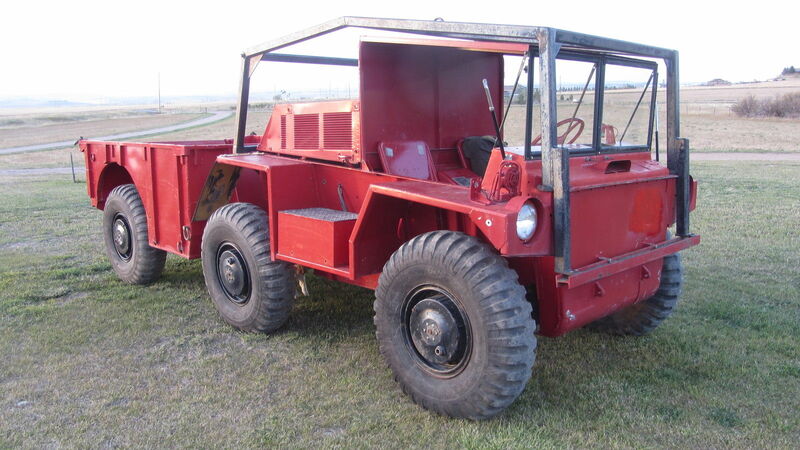 The Gama Goat is a six wheel drive articulated vehicle. The rear segment that looks like a trailer is directly coupled to the front segment so that the whole is one unit. Both the front wheels and the rear wheels on the rear segment steer making it necessary for drivers to have special training to cope with this unusual feel – like a cross between a car and a forklift. The Gama Goat tipped the scales at 3.3 metric tonnes and was powered by a Detroit Diesel 53 2.6 litre three cylinder two stroke engine. This made it loud enough that hearing protection was required to operate it. It had some operational quirks other than the steering. For example the operator needed to remember to close the drain plugs in the machine before attempting to “swim” it, failure to do so would result in the Gama Goat sinking instead of swimming. As it was the swimming ability of the Gama Goat was limited. Its freeboard was quite small and it had no dedicated water propulsion system, instead depending on the six wheels to act as paddles such as on a paddle steamer. This worked, and it kept the vehicle more simple, but it could not work in water as efficiently as if there had been a dedicated water propulsion system. All things have faults, and for all its shortcomings the Gama Goat is an interesting vehicle and though they are not common they do crop up for sale from time to time. If you were champing at the bit to buy one then I’m afraid you’ll need to keep watching eBay and keep Googling until you find one for sale you can make an offer on, as the one that was for sale has already been snapped up for a modest US$5400.00. The Gama Goat recently offered for sale on eBay. The vehicle has been painted bright “fire engine” red, presumably to make it easier to find should the operator forget to close the drain plugs before attempting to swim it. (Picture courtesy eBay). If you would like to see the eBay listing for the above vehicle click here. And for those who are into kits and models you can find a nice Tamiya model kit on Amazon if you click here.